Abdul Malek Halimi was born in 1974 in Kabul, Afghanistan. He completed his baccalaureate from Habibia High School in the year 1989. 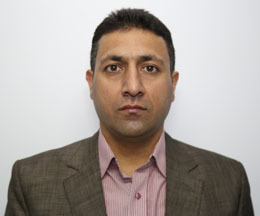 Mr. Haleemi did his bachelor's in business administration from Kabul University Faculty of Economics in 1995. He did his Master's in development management from Institute of Development Research and Development policy, Ruhr University of Bochum, Germany in year 2006. In 1995, he joined Kabul University Faculty of Economics as an associate professor. Since 2006, he headed the Department of Economics, National Centre for Policy Research at Kabul University. 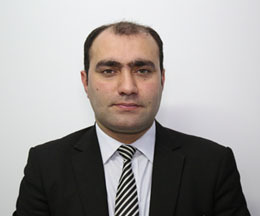 During 2007-2008 he was the Deputy Director of “Research Magazine” of Kabul University. Further he served as member of advisory board “Center for International Private Enterprises” CIPE since 2010. Mr. Halimi has also been member of the BMA Supervisory Board between 2014-2016. Since January 2016, he has been the Chairman of BMA Board of Supervisors. Moreover, Mr. Halimi has conducted research and produced papers in investment for private sector, economic and social impact of privatization, trade and transit relations between Afghanistan and Pakistan, India’s role in reconstruction of Afghanistan, private sector investment, consumer rights and its prospects in Afghanistan, human capital and its role in economic growth of Afghanistan. Mr. Halimi developed guidelines related to the preparation of dissertation reports for faculty students. His contribution in introducing scientific research methodology in Afghanistan especially Afghan universities is of greater value. Abdul MajeedJabarkhail is an experience banker and finance analyst. Mr. Jabarkhail is approved as a supervisory board member in 2013 by Da Afghanistan Bank (Central Bank of Afghanistan). He has worked on a key positions with government and private sector. 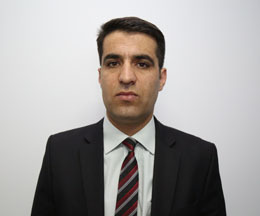 He worked as a Executive Director of Afghanistan Banks Association (ABA), Public Financial Director with United States Assistance for International Development (USAID), Senior Financial Management Specialist with Ministry of Education. He has extensive experience in banking, budget & financial management and capacity building. He played a key role in modernizing municipality accounting and budgeting system and assisted in implementation of performance based budgeting in municipalities. He has completed his masters in international Financial Management from Guru GobindSingh Indraprastha University in Delhi, India, and has completed his under graduate degree in Economics from Nangarhar. Mr. Khalid Zarif is a professional accountant who has rich experience in banking. He worked in finance, banking, anti-money laundering and combating financing of terrorism (AML-CFT). He has more than 13 years working experiences. He has worked with a number of reputed national and international organizations including Da Afghanistan Bank (Central Bank of Afghanistan), Afghanistan Institute of Banking and Finance (AIBF), American University of Afghanistan (AUAF), US Treasury Department, International Rescue Committee -Learn For Life project (IRC- LFL), USAID Bearing Point, and the Adam Smith Institute (ASI) in a variety of capacities. He is a finalist of the Association of Chartered Certified Accountants (ACCA). Mr. Zarif got his BA in Accounting from Oxford Brookes University- UK, Advance Business and Finance Certificate from ACCA, International Certified Assessor (AML-CFT) Certificate from Asia Pacific Group- Financial Action Task Force regional body (APG-FATF), Certificate in International Financial Reporting Standards and International Accounting Standards (IFRSs & IASs) from ACCA Platinum Authorized Learning Partner (P-ALP) and provisional trainer license's from International Financial Cooperation (IFC) of the World Bank.